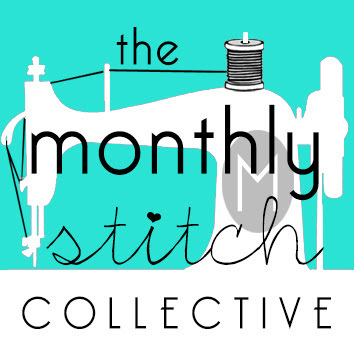 I cut the pattern during Sew Indie month, but didn't finish it until last week. That was entirely because of my schedule, not any problems with understanding the pattern. 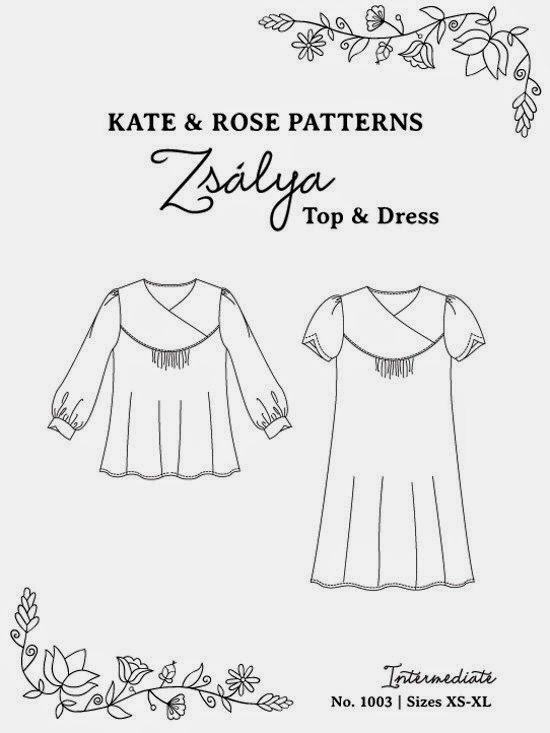 The Zsalya is an easy pattern; with no closures, but a clever yoke that allows you to slip it over your head but also have it fitted across the shoulders and bust. It's loose and drapey in the body, which I was unsure would suit me, but I liked it in the end. Here's the full finished view. I'm standing means that the gathers aren't spread out properly. 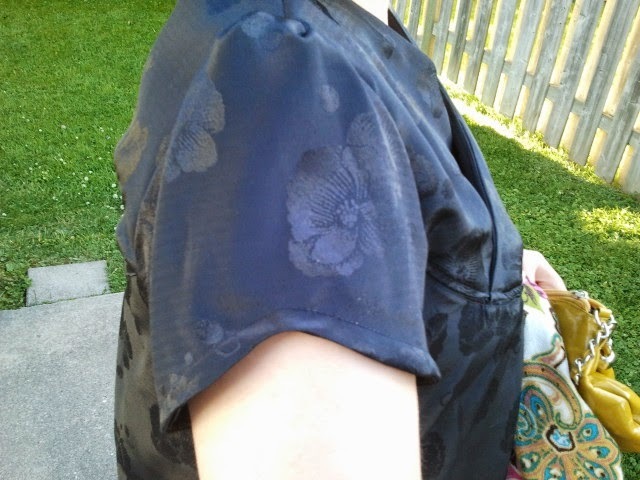 Also, you can't see that I added pockets -- of course! a shawl because I find that theatres can be cold places. The construction of this dress is pretty easy, but the yoke is an area you have to be careful with. Kate & Rose's pattern gives you two options for the yoke: the clean finish or the quick & dirty version. I decided that I'd go with the clean finish, which means that you sew the body pieces to one side of the yoke then enclose that seam beneath the other yoke piece and topstitch. It wasn't as "clean" as it was supposed to be, I'm sure -- I was using a black polyester from my stash, which, while pretty, was very slippery and slidey and was heavy enough that it pulled out of place a lot. I had massive pinning going on ;) Even so, I really like this finish, it's smooth and looks nice inside and out. 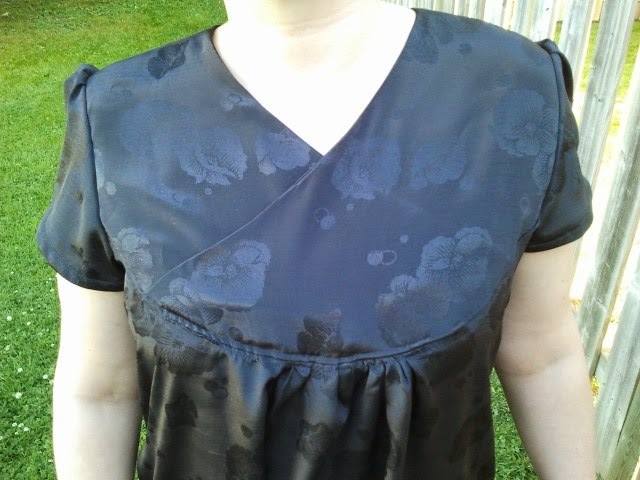 I might use the quick & dirty version if I make a more casual tunic, but for this dress I wanted it all finished nicely. And I wanted to follow the pattern closely to get a true feel for it. The only change I made was adding side-seam pockets, which I often do when the design lines will allow for it. taken. The yoke doesn't pull, it sits quite evenly and comfortably. kind of strangely heavy, and the feel of it kept making me think of an oil slick! a gathered sleeve cap too. 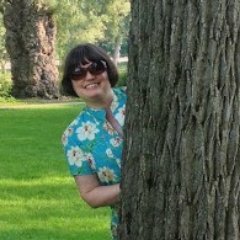 Did I mention that I wore this dress for its first outing to the theatre? Here was the curtain before the show -- pretty stunning, like everything that Stratford does. 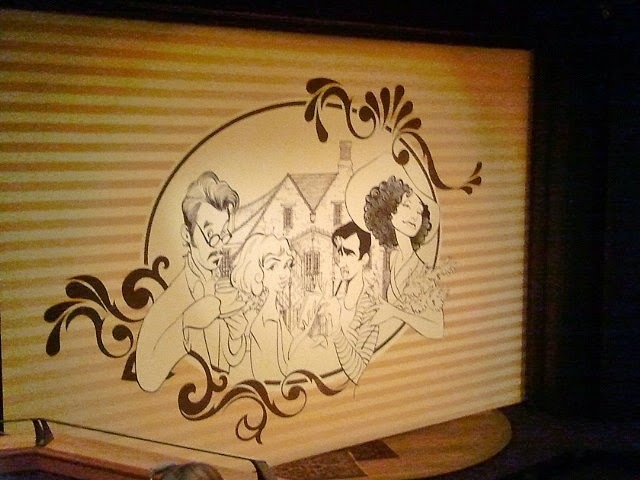 The costumes in this show were amazing, and it was a light and enjoyable play. I was perfectly comfortable in my new Zsalya! 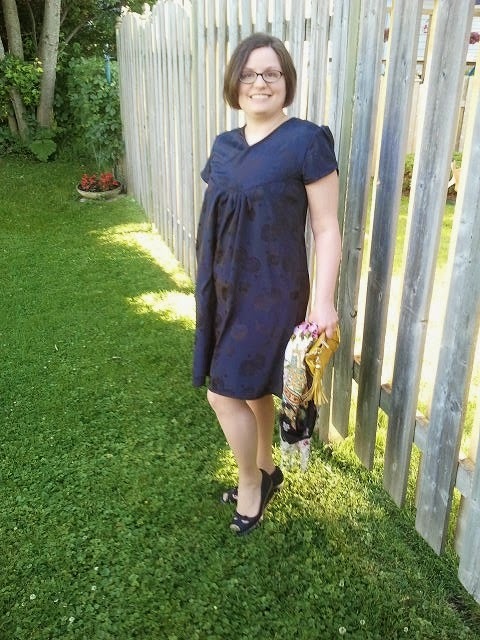 This is a gorgeous dress, thank you for sharing! 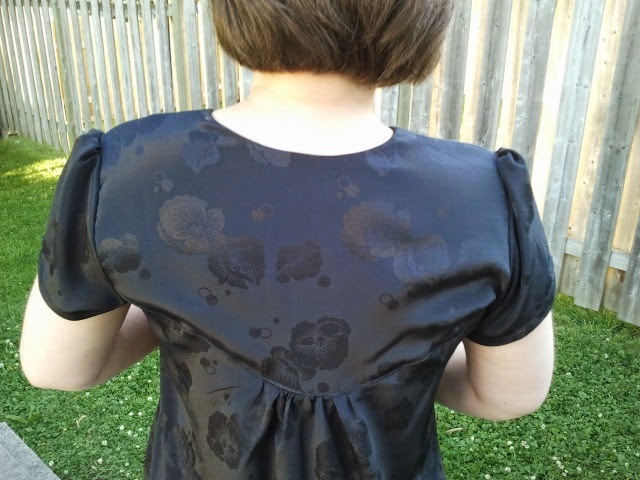 I love the fabric - perfect for a little black dress. Thanks for the design :) I really liked making this. Perfect for a summer evening and we always need a comfortable little black dress in our wardrobe. Perfect go to dress! Your wrap looks lovely too. Thanks, Rhonda -- yes, a LBD that is also super comfortable is wonderful for the summer!